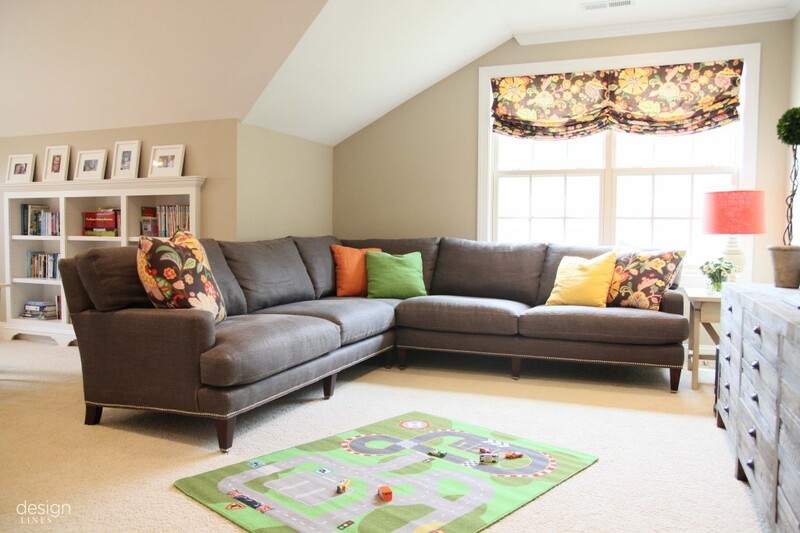 Brittany’s Top 5 Tips For a Kid Friendly Space | Design Lines, Ltd.
1. By all means, choose a playful color palette! 2. Choose practical textures- here we selected a hearty stonewashed linen for the sectional and had the furniture treated with a stain resistant treatment immediately (make haste!) Pillow covers have zippers for easy laundering. 3. Embrace the slash. 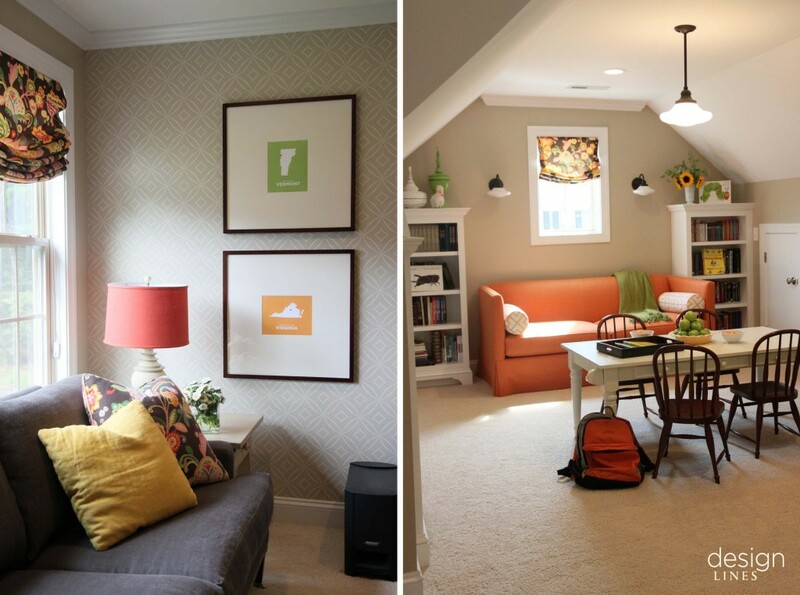 Carefully consider pieces that have more than one use or could eventually go into another room. In this space- take note of the orange settee that is nearly the size of twin size guest bed and can be covered in sheets at a moment’s notice? Or the Media unit which could be a cool dining room console? Odds are- as your kids grow their needs/ your spatial needs will change, also. 4.Don’t be afraid to leave some floor space- because kid’s love to PLAY on the floor- so why invest in a coffee table that impedes playing with cars or has to be moved when it’s dance party time? 5. Add a personal touch. In the library framed family photos are displayed. While on the tv wall- my client made fun posters of every place their family has lived- unique to the space and special to the family- something you won’t find in the pottery barn kids catalog. Would you share more about the linen fabric on the sectional? I have wanted linen, but was a little concerned as to how it would hold up. I am in the process of reupholstering and love the color and the look of this one. I would be ever so grateful! Hey Vicki, The fabric is from a company called Lee Industries. http://www.leeindustries.com. What pieces are thinking of using linen on?